Updated: Feb. 17, 2015 at 12:02 p.m.
As coaches and general managers prepare to make potentially franchise-altering decisions in the 2015 NFL Draft, now is the perfect time to look back and see how the choices made last year played out on the field. Bucky Brooks reviews and grades each team's rookie class from 2014, and highlights what organizations should hone in on at this month's NFL Scouting Combine. CLICK ON EACH DIVISION FOR THE COMPLETE BREAKDOWN. » Houston Texans: Minimal impact from top-end draft picks in 2014. 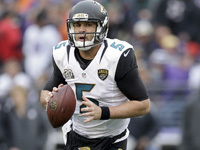 » Indianapolis Colts: Despite limited capital, Ryan Grigson did OK.
» Jacksonville Jaguars: Blake Bortles headlines a promising class. » Tennessee Titans: "Best player available" tactic paid off on Day 1. Click here for full AFC South analysis and grades. » Baltimore Ravens: Ozzie Newsome and Co. load up (per usual). » Cincinnati Bengals: Jeremy Hill immediately made presence felt. » Cleveland Browns: Early misses somewhat absolved by late hits. » Pittsburgh Steelers: Jury still out on potentially impactful class. Click here for full AFC North analysis and grades. » Buffalo Bills: Sammy Watkins a huge building block. » Miami Dolphins: Solid contributions from top two picks. » New England Patriots: Stellar vets leave rookies under radar. » New York Jets: Jace Amaro part of underwhelming group. Click here for full AFC East analysis and grades. » Denver Broncos: Bradley Roby can become a difference-maker. » Kansas City Chiefs: Dee Ford could break out in second season. 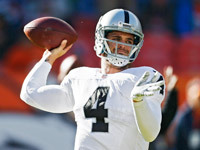 » Oakland Raiders: Derek Carr part of huge foundational upgrade. » San Diego Chargers: Jason Verrett flashed talent in limited time. Click here for full AFC West analysis and grades. » Atlanta Falcons: Thomas Dimitroff's haul has yet to bear fruit. » Carolina Panthers: Fabulous group led by Kelvin Benjamin. » New Orleans Saints: Brandin Cooks has explosive potential. » Tampa Bay Buccaneers: Mike Evans spearheads talented trio. Click here for full NFC South analysis and grades. 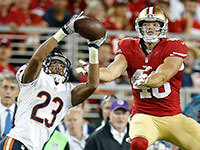 » Chicago Bears: Kyle Fuller showed "lockdown" potential. » Detroit Lions: Not a lot of production from their draft haul. » Green Bay Packers: Ha Ha Clinton-Dix solidified the safety spot. » Minnesota Vikings: Kudos to the Vikes for finding a franchise QB. Click here for full NFC North analysis and grades. 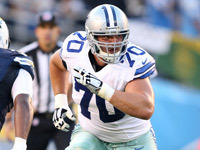 » Dallas Cowboys: Joneses continued to build line with Zack Martin. » New York Giants: Odell Beckham Jr. fronted a spectacular crop. » Philadelphia Eagles: Mixed bag of results for Chip Kelly and Co.
» Washington Redskins: Early selections provide minimal returns. Click here for full NFC East analysis and grades. 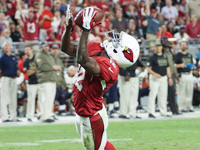 » Arizona Cardinals: John Brown had a clutch rookie campaign. » St. Louis Rams: Aaron Donald's dominance earned him DROY. » San Francisco 49ers: Chris Borland outplayed his draft status. » Seattle Seahawks: Might be too soon for a fair read on this class. Click here for full NFC West analysis and grades.